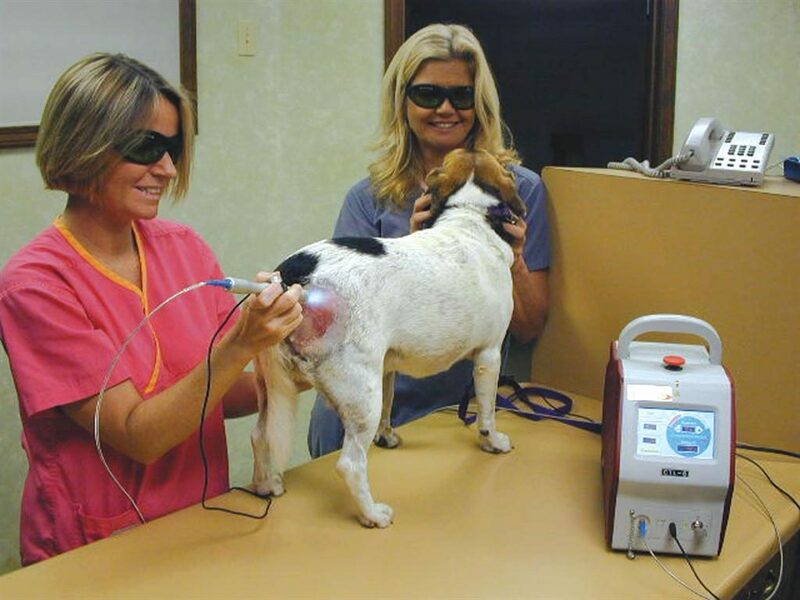 Class IV therapeutic lasers are about 50 times more powerful than Class IIIa or IIIb lasers, which were first to enter the market, says John Godbold, DVM, of Stonehaven Park Veterinary Hospital in Jackson, Tenn., a 30-year practitioner. “The Class III can be used on the same procedures, but takes more time to perform treatments and may not reach the same tissue depth as the Class IV laser,” Godbold says. The important parameters for successful laser therapy are wavelength and output power, according to experts. “Higher power lasers—Class IV, with optimal wavelength for penetration, allows for an optimal treatment dosage in a reasonable treatment time,” says Brian Pryor, Ph.D., president of LiteCure, manufacturer of the Companion Therapy Laser. “A therapy laser using 5 or 6 watts of output power can perform effective treatments for companion animal disorders in 5 to 10 minutes. The Class III therapeutic laser technology can reach deeper tissue, but the length of time to reach desirable results can be prohibitive in a clinical environment. Veterinarians who have been using Class IV lasers cite ease of use, minimal time to operate and low stress for patients. “I’ve had a Class IV laser in the practice for about a year, and I’m learning a new way to use it every week,” says Dennis Woodruff, DVM, of Avondale Veterinary Healthcare Complex in Des Moines, Iowa..